Easter is just a few days away now and it seemed only right that I made Mabel an Easter themed ruffle bib like I did at Christmas which you can see here. 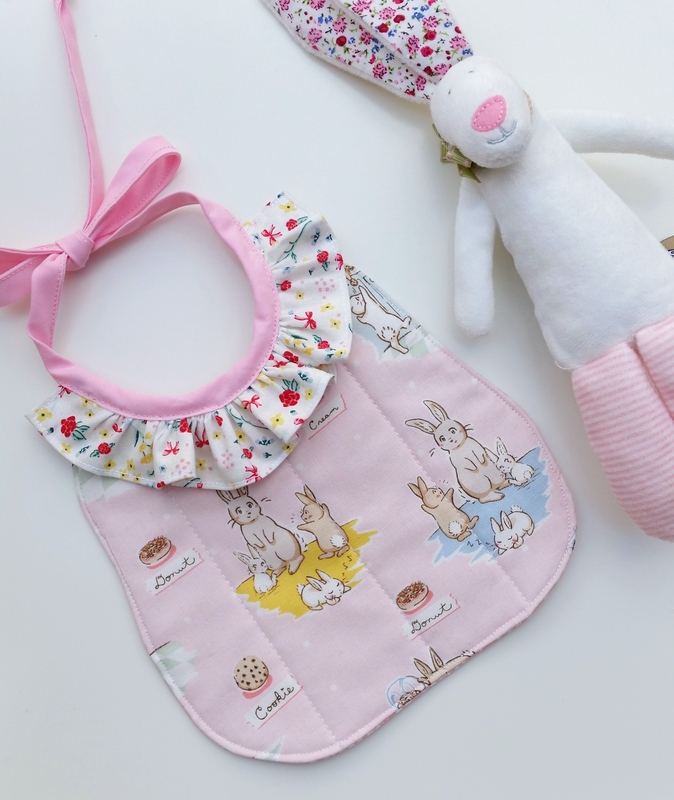 As soon as I saw the new Bunnies and Cream Fabric range from Penny Rose fabrics I knew instantly they would be the perfect choice for the bib. Seriously how delightful is this fabric!? I also see some fussy cut hexies in their future and think I will have to purchase some more as I have so many lovely ideas for it. 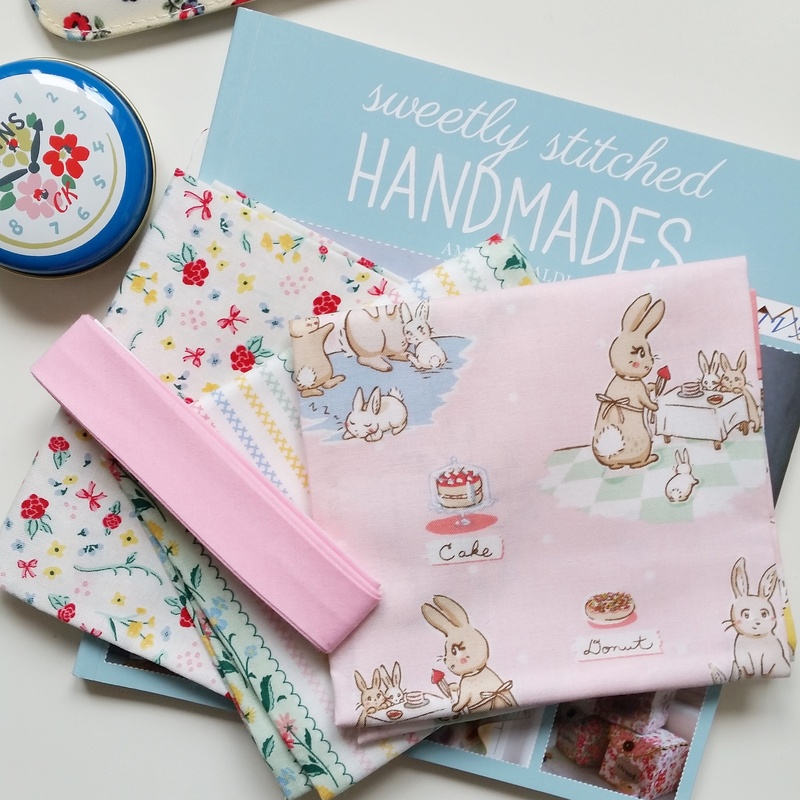 There is just far too many nice fabrics in the world that my wallet will not allow me to get. Anyway it was just a case of choosing just 3 of those fabrics, which is easier said than done! I whittled it down to these 3. The main fabric HAD to pink! At the last minute I changed the stripey fabric for a pink polka dot from Dashwood Studios, it just seemed a shame to use it as no one would see it. I find these very satisfying to make, although a little fiddly they look so pretty when they’re finished. It’s almost too cute to use, and I know nothing tomato or chocolate based will be eaten whilst wearing it! lol. I can’t imagine it’ll be easy getting stains out of the ruffle!